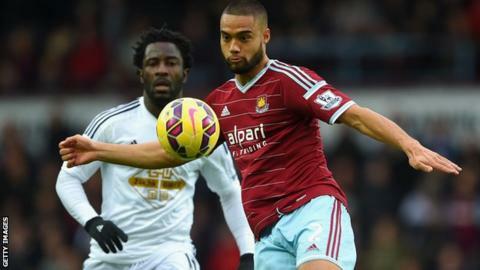 West Ham United defender Winston Reid is "not going anywhere" in January, according to manager Sam Allardyce. The 26-year-old's contract expires at the end of the season, when he could leave for free, but the Hammers won't accept a cut-price offer next month. With the Hammers chasing a European place, Allardyce believes it is vital to keep the New Zealand international. "He isn't going anywhere," the West Ham boss said. "Unless someone bids £20million or something like that." West Ham are fourth in the Premier League after winning eight of their opening 15 games, with Reid featuring in 14 of those matches. Allardyce added: "If somebody flirts around with a measly offer because he is in the last year of his contract, we would make more money by keeping him and finishing where we are in the league than selling him and putting our good season in jeopardy." Reid is currently in negotiations over new contract with West Ham and Allardyce hopes the club's good form persuades the centre-back, who is a reported target for Liverpool and Arsenal, to stay at Upton Park. The 60-year-old said: "In the end, I just hope he decides what is happening this season here and what is happening with us now has a telling factor on the decision that he makes in the end and it is not just money."